All the style of a Sports Utility Vehicle. All the practicality of a family hatchback. 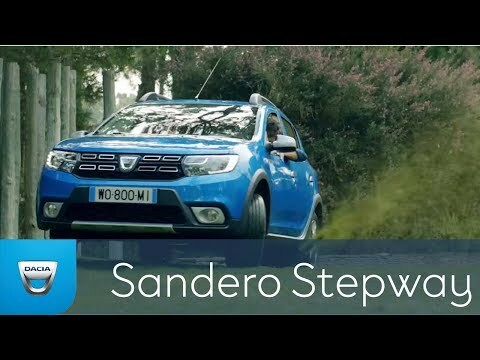 Enjoy the best of both worlds with the New Sandero Stepway. The New Dacia Sandero Stepway offers you the size of one segment for the price of the segment below. With the New Sandero Stepway, you get a great-looking, rugged vehicle without breaking the bank! Personal Contract Purchase. Finance provided by Dacia Finance, Rivers Office Park, Denham Way, Maple Cross, Rickmansworth, WD3 9YS. Subject to status. Guarantees and indemnities may be required. You must be a UK resident (excluding the Channel Islands) and over 18. Offer based on 6000 miles pa, excess mileage 8p per mile inc VAT. Terms and conditions apply. Offers cannot be used with other schemes or finance offers. Prices and offers shown are available on specified new vehicles when ordered by 1st July 2019 and registered before 30th September 2019. Participating dealers only. Vehicle shown with (Paint colour) at £495. Subject to availability. Offers not available in conjunction with any schemes or other offers. 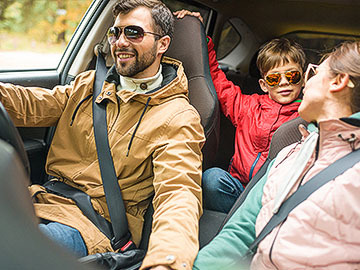 Visit visit https://www.dacia.co.uk/ for details. Personal Contract Hire. Retail customers only. YOU WILL NOT OWN THE VEHICLE. All prices include VAT. Finance provided by Dacia Finance, Rivers Office Park, Denham Way, Maple Cross, Rickmansworth, WD3 9YS. Subject to status. Guarantees and indemnities may be required. You must be a UK resident (excluding the Channel Islands and Isle of Man) and over 18. Terms and Conditions apply. Offer valid on Sandero Stepway Essential SCe75 when ordered by 1st July 2019 and registered by 30th September 2019. 36 month Personal Contract Hire based on 10,000 miles per annum and an advance rental of £2,694 followed by 35 rentals of £99. Further charges may apply subject to the mileage and condition of the vehicle at the end of the agreement. Terms and conditions apply. Vehicle shown with Azurite Blue metallic paint at £495. Subject to availability. Offers not available in conjunction with any schemes or other offers. Visit visit https://www.dacia.co.uk/ for details.